Sarit Yishai-Levi, a journalist and author, was born in Jerusalem in 1947 to a Sephardic family that has lived in the city for seven generations. She studied at the Nissan Nativ Acting Studio and later at Tel Aviv University. 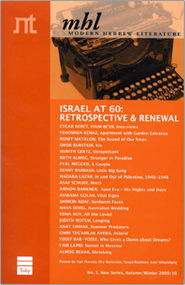 Before turning to journalism, Yishai-Levi acted in theater and film for several years. Later, she was a correspondent for various Israeli newspapers and magazines, including At, Monitin, HaOlam HaZeh and Hadashot​; she also hosted Hebrew TV and radio programs in Los Angeles. 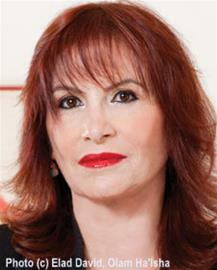 At present, she is a senior correspondent for Olam Ha’Isha magazine and hosts TV shows on tourism and lifestyle. Yishai-Levi has published four non-fiction books. Her first novel, The Beauty Queen of Jerusalem, a bestseller in Israel, received the Publishers Association's Gold and Platinum Prizes (2014) and the Steimatzky Prize for best-selling book of the year (2014). It is now being made into a feature film.